We seem to be increasingly living in a “Yes-men” society, one in which dissension and opposition are discouraged and even punished. Many business leaders are beginning to question the results, and they’re taking thoughtful looks at their own corporate cultures and seeking ways to change them. Are you thinking about this as you build your LNC company? Farmers and agriculturalists know that the more you plant one kind of crop on land, the less fertile it becomes. In like manner, the one-crop philosophy and practice can stifle a business’s growth. If you have people who answer to you, take a look at how they’re answering—how you’re allowing them to answer. Do new ideas flourish in your LNC business garden, or do they get stamped out and sprayed away? Do you like what’s growing there? Nice variety? Healthy blooms? Or are the weeds starting to take over? If you have not read 1984 by George Orwell, take note of the way he describes groupthink. Wikipedia says Groupthink is a psychological phenomenon that occurs within a group of people in which the desire for harmony or conformity in the group results in an irrational or dysfunctional decision-making outcome. Group members try to minimize conflict and reach a consensus decision without critical evaluation of alternative viewpoints by actively suppressing dissenting viewpoints, and by isolating themselves from outside influences. By stamping out the ideas of staff, business owners and managers discourage innovation and creativity. Be clear in your own mind that you welcome suggestions and even opposing ideas. Be honest with yourself. Do new ideas threaten you? If they do, work on yourself. Remind yourself that you are more than your ideas. Part of who you can be is a person who can accept disagreement with your ideas without seeing dissent as an attack. Open your commitment to change by imagining a thriving, vibrant business, fertilized with a variety of perspectives. Listen to Victoria Powell’s podcast LNP 194 in which she describes how she deliberately hires people based on personality. Build your LNC business with a range of personalities. Make it clear to your employees that you encourage new ideas. Say that you do. Give a speech, write a memo. Repeat. Be aware, though, that this may not always work. Consider the “Painting the roses red” analogy. In Alice in Wonderland, the Queen of Hearts said she wanted the roses painted red, but when her dutiful employees followed her instructions, she insisted that she’d wanted them white. Like her employees, yours may fear the “Off with their heads” result. Have an anonymous suggestion box. This doesn’t mean email suggestions, which can be traced. It means a literal box into which employees can drop typed suggestions. Consider these objectively. Decide which ones you like best, and post a list of them. Have a contest. Once your employees have more confidence that you mean what you say, offer a reward of some kind for the best idea about how to move on a project or to create something new in your LNC business. 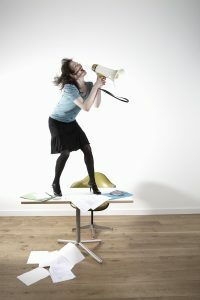 Create focus groups or expand the freedom of those that already exist. In these groups, encourage everyone to speak up, and listen to what people have to say. Ask your clients what they think of your services, too. Periodically speak to them on the phone. When you’ve completed a case for them, ask them to evaluate it. As with your employees, make it clear that you value their ideas and opinions. In today’s competitive business environment, the LNC companies that succeed are increasingly those that use the most innovative approaches. Make sure that your LNC company is one of them. Pat Iyer built a thriving LNC business that employed staff with a variety of personalities. She held regular staff meetings to encourage expression of new ideas. 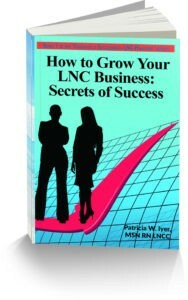 Get additional tips about growing your LNC business by purchasing a copy of our book, How to Grow Your LNC Business.